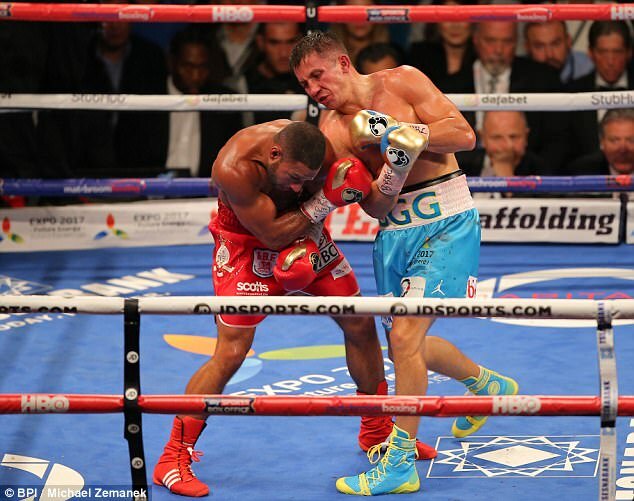 Gennady Golovkin is in talks with Britain’s Billy Joe Saunders over a middleweight unification bout this summer. 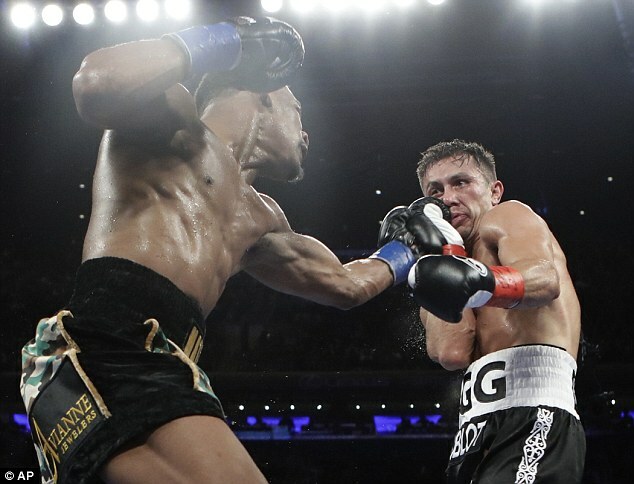 ‘GGG’ added the WBA belt to his IBF and WBC titles with a close victory over Daniel Jacobs on Saturday before claiming a clash with WBO champion Saunders was his ‘dream’ fight. 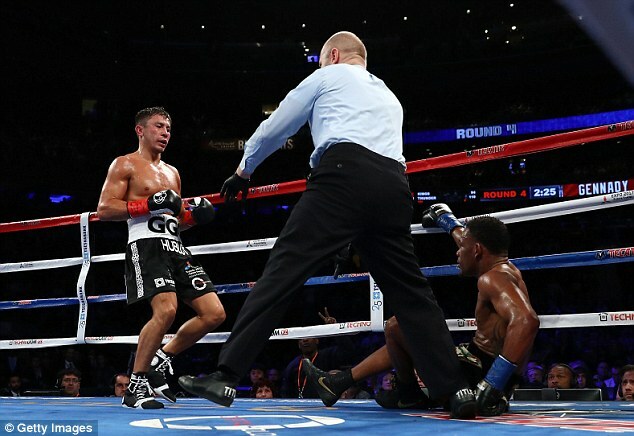 The concussive Kazakh puncher won a unanimous decision over his American opponent in a pulsating fight at New York’s Madison Square Garden to extend his perfect fight record to 37 wins from 37 fights. 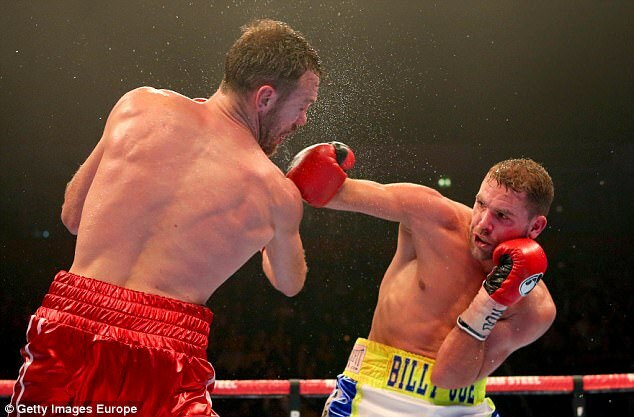 WBO titlist Saunders – who has not fought since December – also boasts an undefeated record, having won all of his 24 professional fights. And his promoter Frank Warren revealed that discussions have already taken place ahead of a bout, most likely to be in Kazakhstan in June. 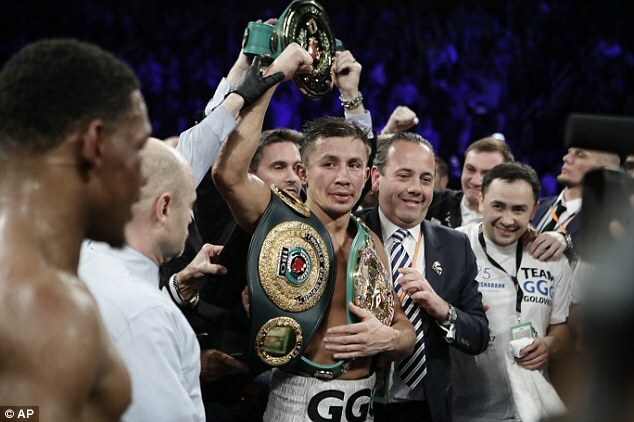 ‘Golovkin-Jacobs was a fantastic fight and I thought Golovkin won it by a couple of rounds,’ Warren told Boxing News. ‘We’re trying to make that fight [Golovkin-Saunders] but whether we can get it done I don’t know. I thought there were some things that will encourage Bill in that fight, when Jacobs turned southpaw that was when he was most successful. 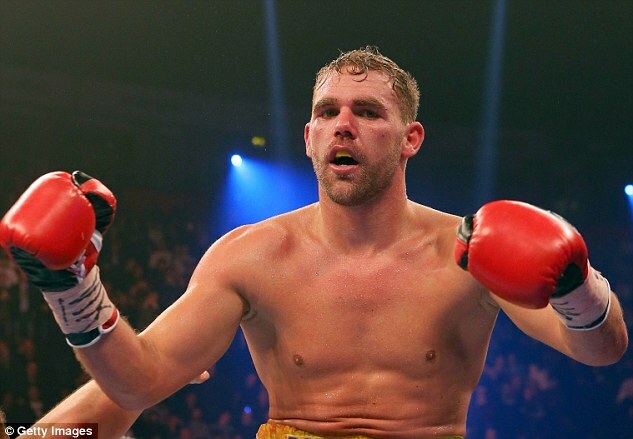 Saunders was not ringside for the clash in New York as he continues work in the UK alongside new trainer Adam Booth. The 27-year-old made a successful first defence towards the end of last-16 with an underwhelming points win over Artur Akavov. Three months on, however, the WBO champion is confident he will go one step further than Jacobs and beat the Kazakh to unify the division. 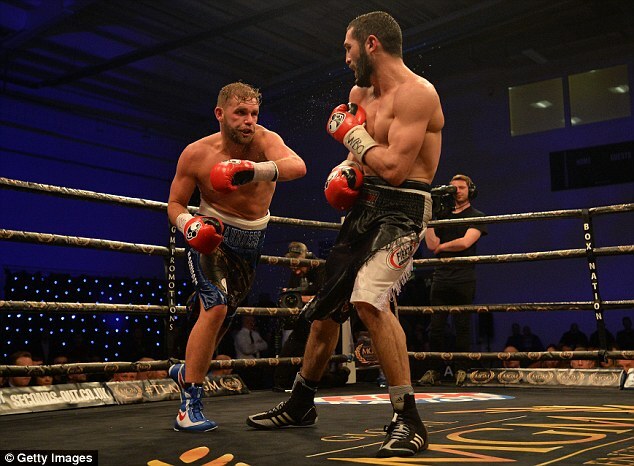 ‘I have been told a certain date by Golovkin’s team so I know what to expect,’ he told iFL TV. ‘I know what game plan you need to execute to give you the best chance of beating him. Danny Jacobs did a very good job but there are a couple things I think he should have done a bit differently.